Mint Hill, a southeastern suburb of Charlotte, shares a part of North Carolina’s rich history, and our beautiful 423-acre Cheval remains a treasure to be discovered. Did you know that the first gold rush in the United States occurred just minutes away from Cheval and its beautiful forest land and verdant pastures? After the first documented gold discovery in 1799 in Mecklenburg (now Cabarrus) County, the Piedmont region of North Carolina became known for having the the majority of gold deposits and the most productive gold mines in the state. From 1837 to 1849, more than 89 percent of the gold minted in the U.S. came from North Carolina. Until the California Gold Rush began in 1848, North Carolina was the biggest producer of gold in the United States. Mint Hill played a part in the gold rush with its own famous Surface Hill Mine, discovered in 1844. Named for its gold outcroppings and large gold nuggets that could be found on the mine’s surface, this mine was famous for being one of the most productive mines in Mint Hill and was active until 1930. 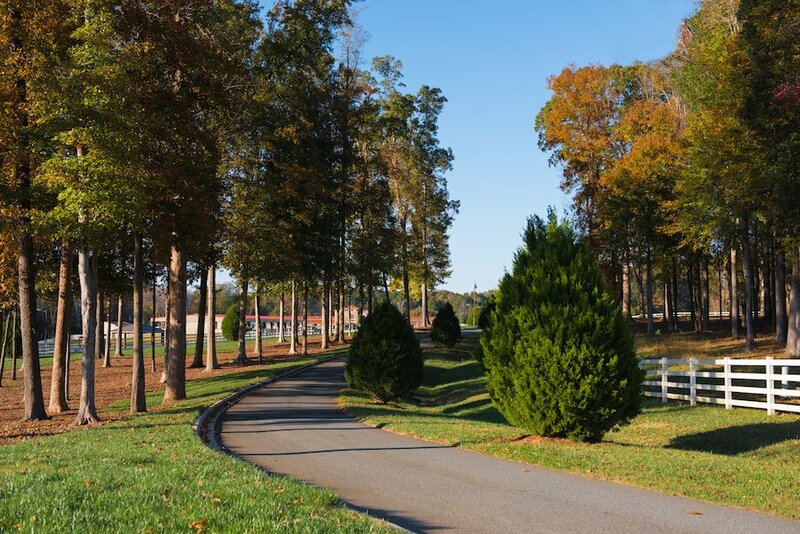 Today, Mint Hill, a quiet community celebrated for its hometown hospitality, is still surrounded by farmland, to include the neighborhoods of Cheval, where luxury and nature combine.